Sweet Mugsy is a 6 month old puppy who arrived in Vancouver on December 12th in 2018 all the way from Iran. When Mugsy as only 40 days old, someone tossed a corrosive cleaner and salts at her face, severely burning her right eye and nose. 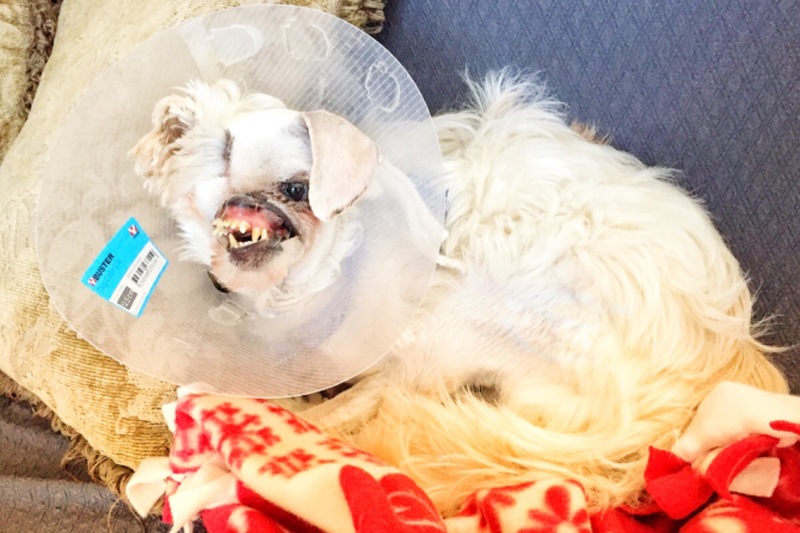 She was taken to a veterinarian to be euthanized, but a volunteer from Persian Paws Rescue and Loved at Last stepped in and vouched for the tiny dog to have her damaged eye surgically removed and to begin her recovery. Four months later, Mugsy was adopted overseas to continue her medical needs where it could be done by specialists in Canada West Animal Hospital. 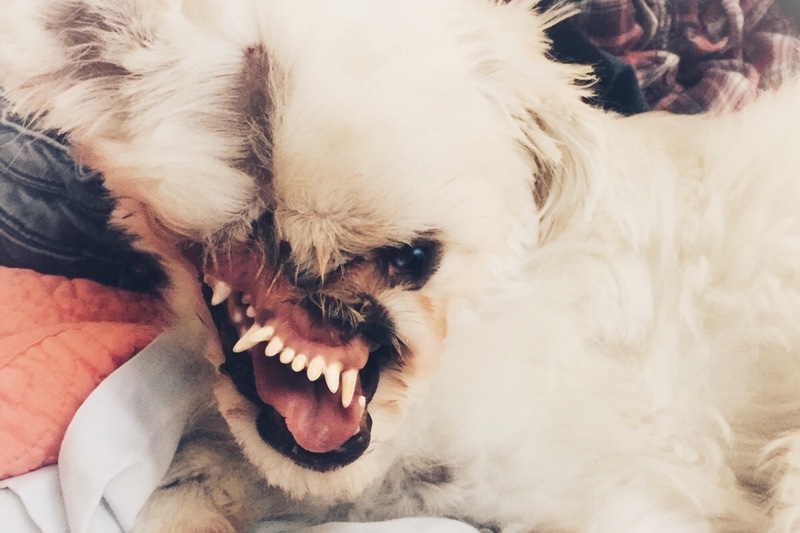 Because Mugsy was so young when she was injured, her jaw continued to grow and deviated by damage to her face, as part of her skull is still expanding through her scars. Her nasal cavity is completely exposed and vulnerable to infection and further tissue damage, and desperately needs surgical intervention to correct. Despite her tortuous start in life, Mugsy is a loving and forgiving puppy who lives in the moment and enjoys all the same delights every dog deserves. Never without a big smile and a wagging tail, we are hoping that Mugsy can still rely on the goodness of people to help her through just one more hurdle in her life. Hey everyone! It’s been busy as all go here, and it’s already been one week since surgery! Mugsy is doing great!! She’s still wearing her not-so-fun cone, and will be for another week, but she’s not letting anything bum her out. Doctor said to take it easy, but Mugsy just wants to run and play as if nothing even happened. This pup is resilient! Here’s the best bit of news regarding the surgery: originally, the surgeon was going to use Mugsy’s goodness ear as the graft, where it’s would folded over her face for about 3 week so until it healed, then a second procedure wouldn’t take place in order to snip that’s piece of ear away from her main ear and have stents put it place of nostrils. Well.... that never happened! 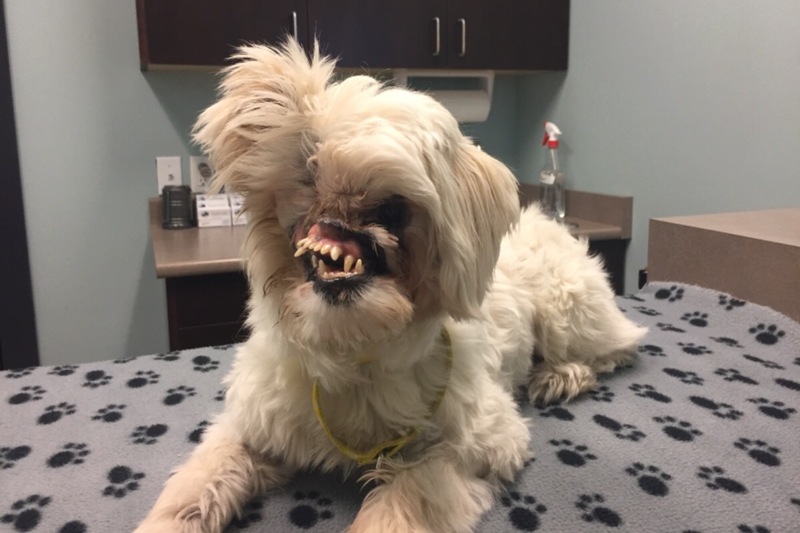 Once she was under anesthesia and shaved, the surgeon realized Mugsy had a lot Moreno lip tissue massage he originally noticed - this was used instead of her ear as the graft, and stents we’re put in place right away... no second surgery needed!!!! Another couple weeks of (boring) TLC, and some extra spoiling, and Mugsy will be right back to running around causing a ruckus. For anyone who has Instagram, I update Mugsy’s page fairly regularly, so please feel free to follow her progress there as well! So Mugsy went into Canada West Aninal Hospital this morning at 9:30 to be admitted for her first of two procedures. Her bloodwork and respiratory tests all went through so they put her under and began at 12:30. At around 4:00pm the surgeon called me and said Mugsy is in recovery and doing great! Mugsy will stay overnight at the clinic to be monitored and made comfortable and the vet will call me again in the morning so hopefully I will be able to go see her and bring her home before noon. I’m getting more good news tomorrow as well, so I’ll update again as soon as I have the rest of that information! First of all, I cannot thank each and every one of you enough for your generosity and kindness in supporting little Mugsy - I never could have expected our goal not only be met, but bypassed by such an incredible response from the community. To say it’s put my faith in humanity back in order is an understatement! When I started this campaign, I dreamt that should Mugsy’s veterinary fees and aftercare needs be met and that there was any amount donated that remained, that it would be donated in turn to the rescues who helped save Mugsy and to support other animals in need. It was a wish I fantasized about, but had only slim expectations that the amount to pay our thanks forward would be of much significance. Needless to say, I am overwhelmed and dizzied by the fact that this fantasy is very much a reality that can be achieved because of you all!! 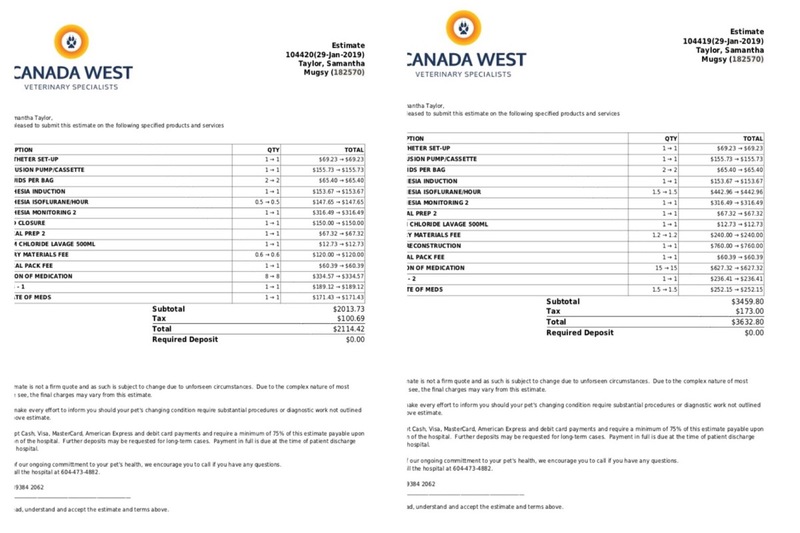 Canada West has informed me that their official surgical estimate will be emailed to me early this week - and I’m hoping they stick to what the surgeon verbally quoted to me when Mugsy and I met with him and his staff ($5-7k) so that what remains of the donations can be used in full to do what good it is intended for. I will be sharing that quote here and on Mugsy’s Instagram page when it arrives.